UK: German utility E.on has won a contract from system operator National Grid to supply a 10MW battery system in the UK to stablise renewable power entering the grid. 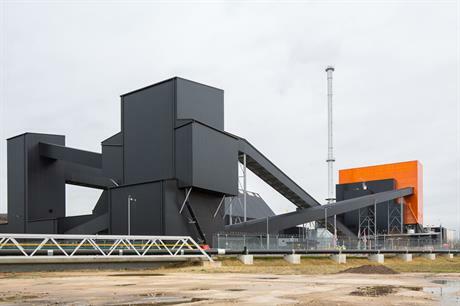 E.on will install its battery system — the first of its kind in the UK — at its Blackburn Meadows biomass combined heating plant near Sheffield, central England. National Grid launched a tender for technologies to help deal with the variable nature of renewable energy. E.on said the 10MW lithium-ion battery – the size of four shipping containers – is due to be operational from the start of 2018. It is capable of responding in on second to absorb or discharge power when needed, maintaining the system frequency. "We are delighted to build one of the first commercial battery systems in the UK. This is a milestone for E.on in the new energy world, and an important recognition of the enormous potential battery solutions bear," said E.on chief markets officer Karsten Wildberger. "We continue to work on new storage solutions going beyond security of supply, for example combining applications to increase self-consumption, shave peak-loads or to improve service for our industrial and commercial customers," he added. E.on said it recently started operations of a battery storage system in the US.